The pleasures of cruising on a yacht do not have to be limited to the confines of the mothership. Here are our editors’ picks of some of the coolest tenders and toys on the market today. 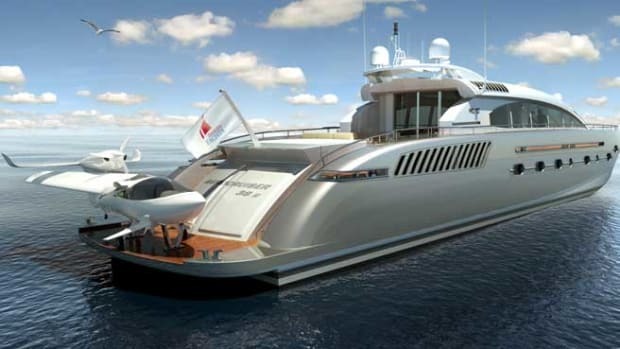 The pleasures of cruising on a yacht do not have to be limited to the confines of the mothership. Great tenders and toys can enhance your precious time on the water. Here are our editors’ picks of some of the best waterborne playthings on the market today. If the idea of balancing atop a moving hose sounds difficult—impossible, even—thrill seekers lucky enough to have access to the state-of-the-art Jetovator are in for a pleasant surprise. 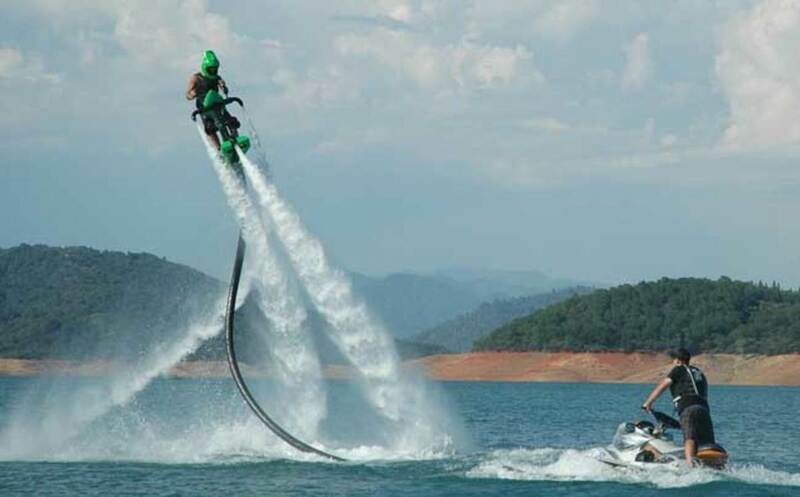 The Jetovator has a stable platform that hovers up to 25 feet above the water and provides maneuverability for tricks and stunts. The manufacturer claims it can train just about anybody to operate it safely and proficiently in about 20 minutes. 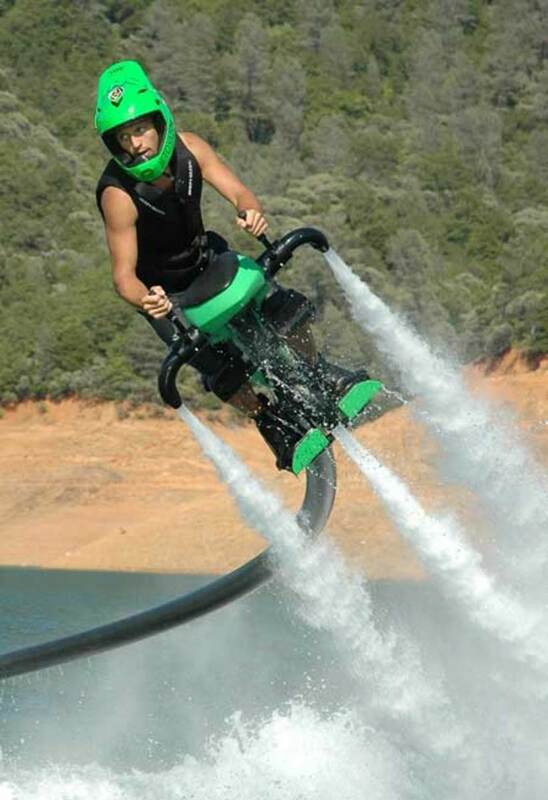 The Jetovator works by redirecting the water thrust from a Sea-Doo, Yamaha or Kawasaki personal watercraft along a 40-foot hose to the machine’s body, propelling it into the air. To maneuver, the rider redirects the water thrust, allowing for everything from backflips to barrel rolls. With the hose as a tether, the PWC power source tows behind the Jetovator, requiring two people for operation. The rider controls height and direction, while a crewmember on the PWC controls the throttle, so thrust can be regulated based on the rider’s skill level. Price: about $6,000. 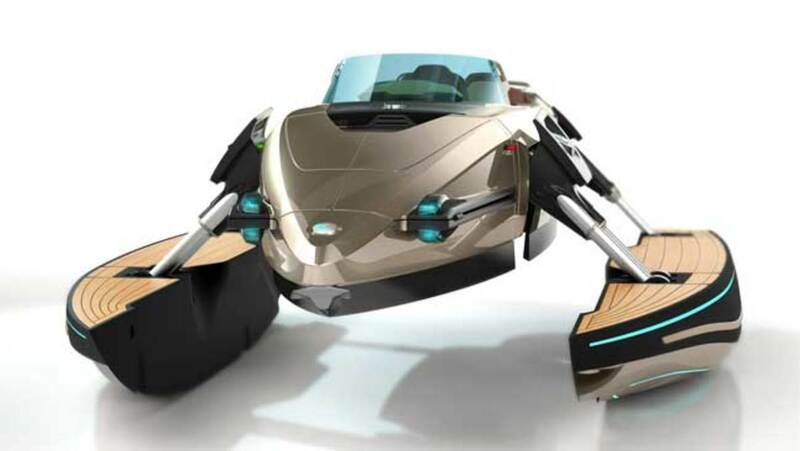 The Kormaran is a veritable transformer boat conceived by an Austrian company that has invested millions into its design. This 23-foot (7-meter) watercraft can be used in several configurations—monohull, catamaran, trimaran, hydrofoil or bathing platform—and it can change on the fly. 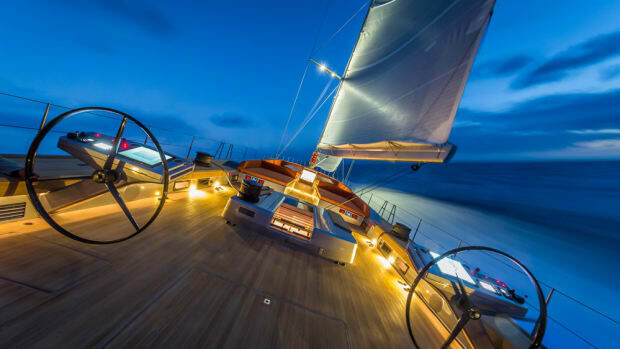 The hydraulically actuated hulls are designed to switch from one mode to another at the press of a button. 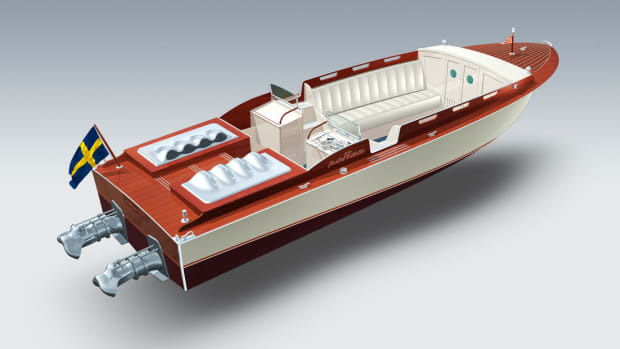 The working parts are carbon fiber, stainless steel and titanium, while the hull and deck surfaces are teak, and cushions are upholstered in leather. There is seating for two passengers plus a driver. 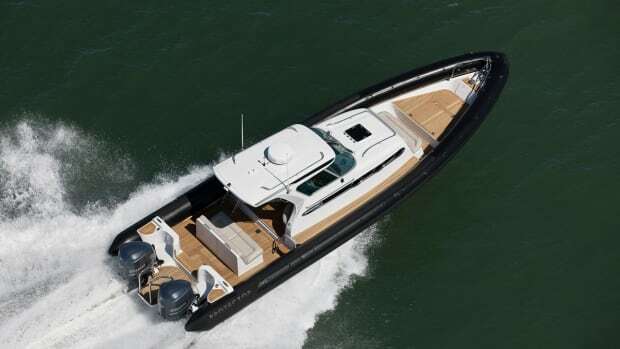 Power derives from a 493-horsepower jet drive allowing the Kormaran to achieve 38 knots. Sea trials are in progress. 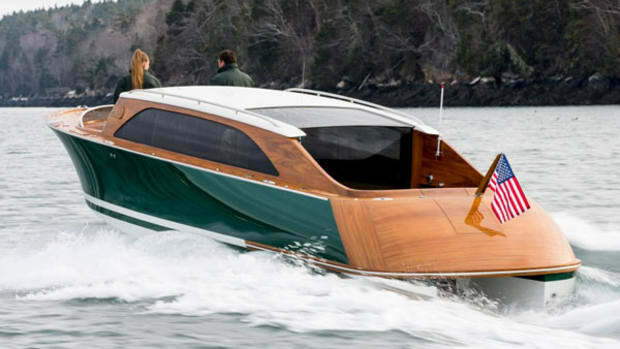 Walth Boats is relatively new on the scene of fast, tricked-out, thoroughbred runabouts. 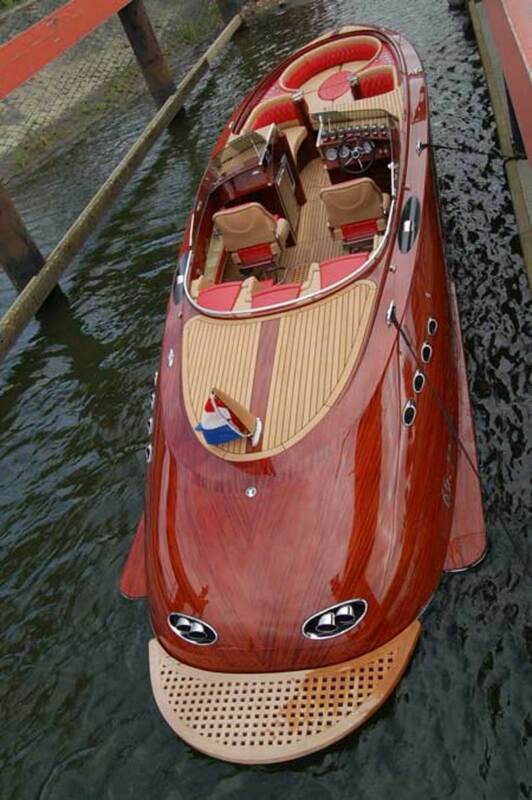 At 37 feet (11.2 meters) in length, the 1075 is the largest of three models the custom Dutch builder offers. 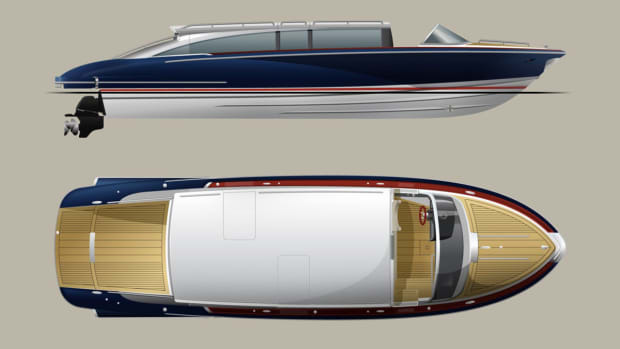 The 1075 was both seen and heard at last year’s Monaco Yacht Show, clad in gleaming brightwork and sporting swoopy lines and a curvaceous cockpit configuration. When revved, the engines create a virile rumble. 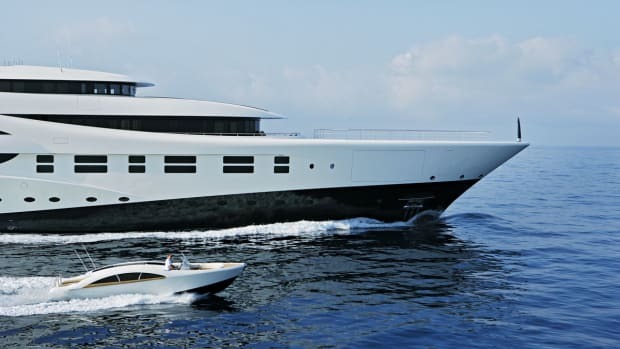 During the show, the 1075 ushered VIP guests to and from Oceanco’s 300-foot (91.5-meter) Equanimity. The Walth’s deep-V bottom is double planked with okoume plywood, and the third skin is sipo mahogany, hand-picked for its grain and color. 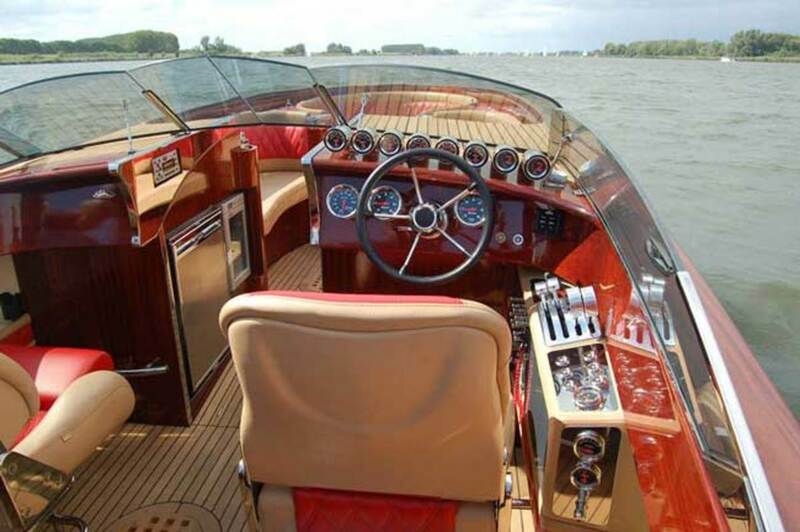 The decks are teak and the leather cockpit seats on polished stainless steel frames are power-adjustable. 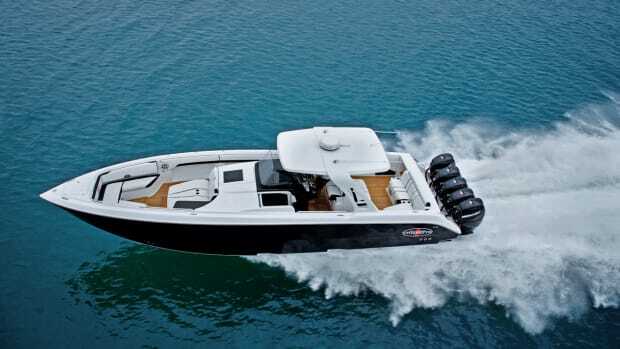 Powered by twin 570-horsepower Ilmor V10 engines, the 1075’s top speed is purportedly close to 80 knots. The term moped often describes what is, in fact, a gasoline-powered scooter like a Vespa. A true moped is a bicycle with pedals and a little gasoline or electric motor. 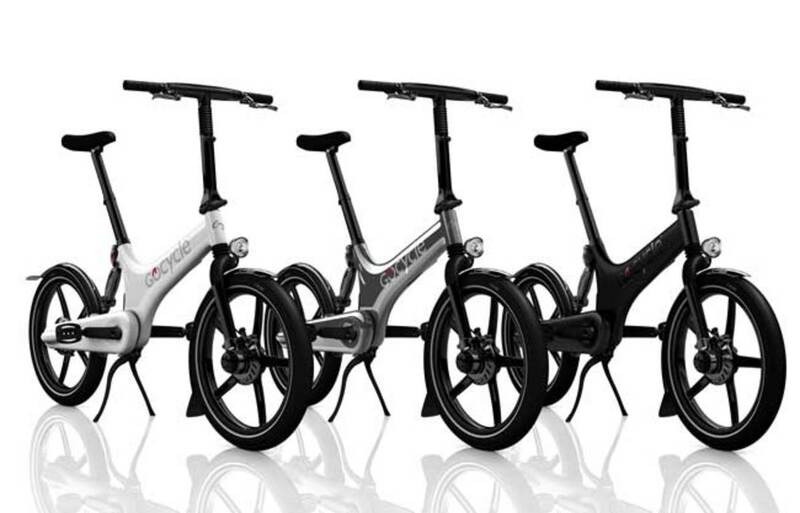 The foldable, electric Gocycle, designed by former McLaren Automotive engineer Richard Thorpe, is an evolution of the concept in form and function. “Richard wanted to create a cutting-edge, electric-powered vehicle that addressed all the issues that made conventional e-bikes awkward and difficult to live with, while also addressing some of the issues related to conventional bikes—namely, the difficulty in keeping them clean, as well as the fact that the exposed components made it easy for the rider to end up covered in grease and dirt,” says Gocycle’s sales director, Craig Nairn. Innovation highlights include compactness (folded, it fits in a bag about 2 feet long, 2½ feet tall and a foot wide); weight (35 pounds); electronic predictive shifting of its three-speed transmission; and Bluetooth connectivity for programming with a smartphone app. The machine’s lithium battery will carry it 20 to 40 miles on a 5.5-hour charge. Top speed is just over 15 mph. Price: about $5,000. Own your own island, and take it with you. On the horizon for Ecotoys is a folding, floating platform that can be stowed in a lazarette, deployed with a standard tender crane and towed by a tender into the perfect position—say, a shallow bay inaccessible by a large yacht. Or it can serve as an extension to a swim platform. 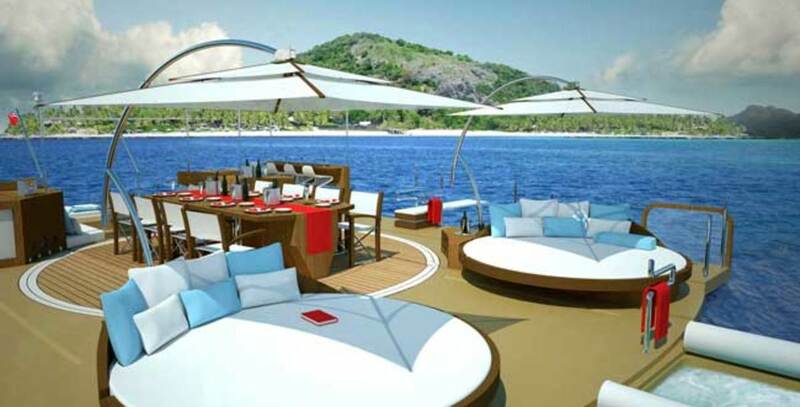 The island measures 32 feet by 26 feet, offering a space large enough for dining and recreation—it’s an ideal base for swimming and scuba diving—or relaxing in a sunbed over the optional glass-bottom floor. An option to configure the island as a portable helicopter landing pad is in the works, providing a new alternative for yachts with no space for landing facilities. The product concept is still in its initial stages, but BMT Nigel Gee has completed the feasibility study. Time to park the Xbox and grow up. CXC Simulations’ Motion Pro II promises to elevate the onboard race-driving experience. 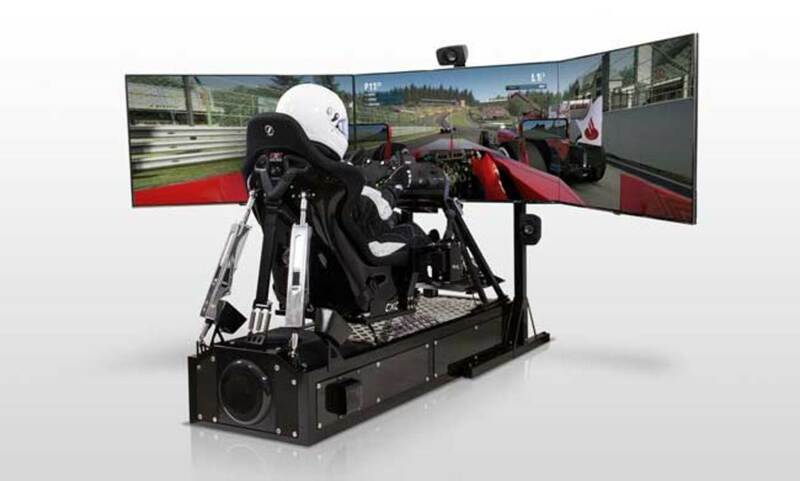 Rather than relying on hand controllers and a TV screen, the Motion Pro II is a professional-level, sit-in simulator with high-quality audio, video and control features that allow users to race virtually on many of the world’s top tracks. According to the manufacturer, a host of top-level professional drivers use the machine to hone their skills. Yacht owners who collect exotic cars can enjoy track driving without putting their fine automobiles at risk. For owners who also enjoy flying, the Motion Pro II converts to a flight simulator programmed with a variety of aircraft and airports around the world. Price: $56,500 to $88,310. 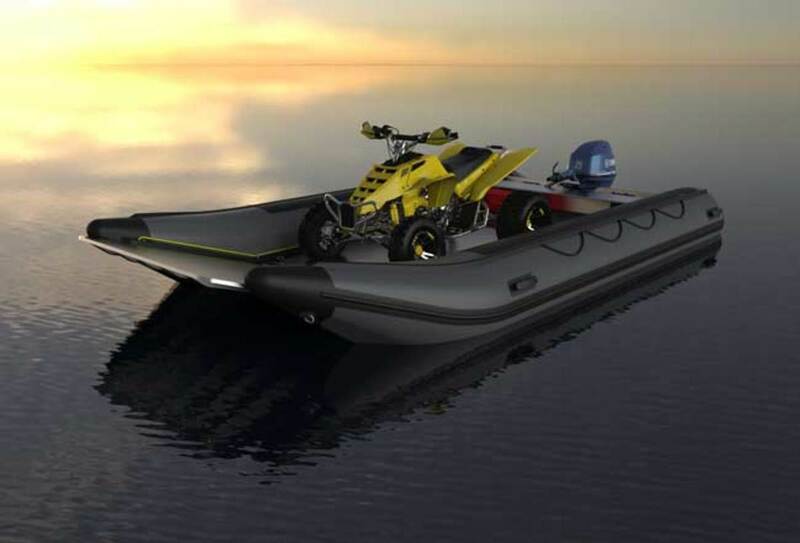 Initially devised so a yacht owner could transport an all-terrain vehicle from ship to shore, the Inflatable Landing Craft (ILC) is a pop-up tender that packs into a bag when deflated. 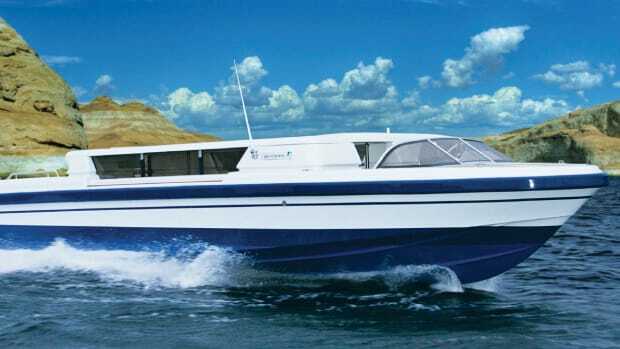 Catamaran hulls supply high performance while affording large deck volume for water sports, diving, beach barbecues, general crew duties and bulky supplies. Shallow draft and low weight make the ILC perfect for beach landings. The idea was made possible by recent advancements in inflatable materials with Hypalon tubes and a drop-stitch floor—the same material used for inflatable stand-up paddleboards, which are firm under pressure but pack up small when deflated. Rigging time is approximately 15 minutes out of the bag. Standard size is 18 feet (5.5 meters), but it can be built to any size. Price: starts around $29,700.